Special counsel Robert Mueller has recently subpoenaed public relations executives who worked on a Ukrainian lobbying campaign organized by Paul Manafort, President Trump's former campaign chairman. A source familiar with the matter confirmed the subpoenas to CBS News' Julianna Goldman. NBC News first reported the news. Mueller, who is investigating any ties between Trump campaign associates and Russian meddling in the 2016 presidential election, is, according to NBC News, focusing on Manafort's lobbying between 2012 and 2014 for a pro-Russian Ukrainian political party, offshore banking and some of his financial dealings. The FBI raided Manafort's home last month and left his home with various records -- the New York Times reported that agents were seraching for tax and foreign banking documents. 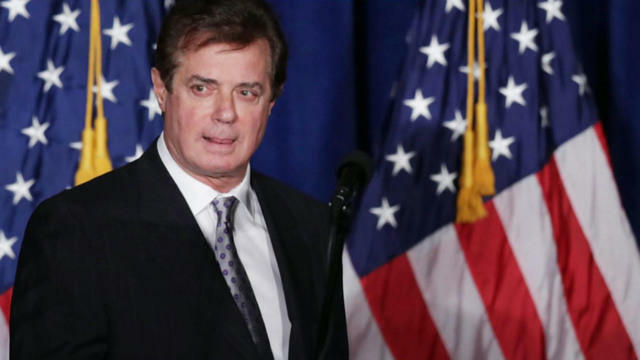 In August 2016, the Associated Press first reported that Manafort, who was Mr. Trump's campaign chairman at the time, had helped the Ukrainian political party to secretly route at least $2.2 million to two Washington lobbying firms in 2012 in a way "that effectively obscured the foreign political party's efforts to influence U.S. policy," the AP found. From 2012 to 2014, Manafort and his associate, Rick Gates, who also worked as a strategist for the Trump campaign, were consultants to the political party of then-Ukrainian President Viktor Yanukovych. A non-profit governed by Ukrainian politicians friendly to Yanukovych paid at least $2.2 million to the Podesta Group Inc. and Mercury LLC to advocate for positions favored by the Yanukovych government, the AP reported in August. In June, Manafort retroactively registered with the Justice Department for the consulting work he did for the Ukrainian political party.